The Linden Method program is licensed to Charles Linden Media Limited (UK) and Lifewise Publishing LLC (USA) by CLIP Media Limited. The Linden Method program is protected by worldwide copyright and international trademark registration. Lifewise Publishing LLC (USA) and Charles Linden Media Limited (UK) are the publishers of all materials and information on this website and are regulated by UK and US law. Payment terms and currencies offered on this website are provided to enable users to have complete freedom of choice with regard to The Method and currency they feel most comfortable using. Please read the following terms and conditions carefully since they govern your use of this Website and becoming a client of The Linden Method Program (Under license to Lifewise Publishing LLC/Charles Linden Media Ltd). By accessing this site and any of the pages therein, you agree to be bound by these terms and conditions below. They may be modified from time to time. If you do not agree to the terms and conditions below, do not access this site or any of the pages therein. a. Transmissions and communications to and from this Website, even if done with the use of a secure Internet browser, may be read or intercepted by third parties. Each user of this Website agrees that Lifewise Publishing LLC/Charles Linden Media Ltd will not be held liable should such interception occur. All information submitted to Lifewise Publishing LLC/Charles Linden Media Ltd via this Website shall be and remain the property of Lifewise Publishing LLC/Charles Linden Media Ltd shall be free to use, for any purpose, any ideas, concepts, know-how or techniques contained in information a user to this Website provides. a. Any contract for purchases made through the website will be with Lifewise Publishing LLC/Charles Linden Media Ltd.
b.	Lifewise Publishing LLC/Charles Linden Media Ltd must receive payment of the whole of the price for the goods that you order before your order can be accepted, and the contract formed. Once payment has been received The Linden Centre will confirm that your order has been received by sending an email to you at the email address you provide in your registration form. The confirmation email will include your name, the order number and the total price. Lifewise Publishing LLC's/Charles Linden Media Ltd acceptance of your order brings into existence a legally binding contract between us on these terms. Any term sought to be imposed by you in your order will not form part of the contract. c.	Lifewise Publishing LLC/Charles Linden Media Ltd is entitled to withdraw from any contract in the case of obvious errors or inaccuracies regarding the goods appearing on our website. If an error or inaccuracy is discovered with regards to the advertised price of the goods that you have ordered, we will contact you as soon as possible by email. This will be to inform you of the correct price of the goods, and to ask you if you wish to continue with the order at the amended price, or to cancel the order altogether. d.	Contents and copyright of The Linden Method package and its websites remain the intellectual property of CLIP Media Ltd.
e.	Your purchase of The Linden Method program is non-transferable to any third parties. Any client who passes The Linden Method program to any other person, company or website or shares their login details with an unathorised person will have their membership terminated with immediate effect and relevant legal action will be taken for copyright theft and breech of licence contract. f.	We operate a strict data protection policy and the data we hold will never be passed to third party organisations unless it is part of the payment process. We do not hold any personal data after your support membership has expired. g. Product access - We will hold client purchase details for 12 months at which point they will be destroyed in line with privacy laws. From 365 days onwards it is the client's responsibility to keep their login details safe and secure. We cannot provide login details to clients after the 365 days have lapsed even if a proof of purchase is provided. This is to prevent fraudulent, unauthorised access. Access - Lifetime access was granted to all new members of the new product in November 2017. Prior to that, memberships were for 12 months. Anyone joining before November 2017 will not be provided with access to the new products and membership. If you joined before this time and still have access to the old members portal, please keep your access details safe as we cannot re-issue them once your membership period has lapsed. If you wish to rejoin the program, please contact becky@thelindencentre.org or call her on +44(0)1562 742004 and we can offer a discount for ex clients. We do not offer return or money back guarantee policies. As a new member, you will receive immediate, unmonitored and confidential access to all educational course materials. Once access is provided, delivery of the product is completed. Access to the online portal is for life. See 2g above. Instalment plans are provided to assist the client to make full payment for our courses. Commencing a payment plan is a legally binding agreement that the client will receive access to the course before full payment is made. Failure to pay in full will result in legal action and immediate exclusion from the program. a. Support is provided for the advertised period from date of purchase - this includes support using the Method, technical support and any password retrieval. Support will be provided to the end user (sufferer) only or to their parent in the case of the Junior Version (one parent only). b. You have lifetime access to The Linden Method Members Portal. The email and telephone support is available for 12 months from date of purchase. c.	Support availability may occasionally deviate from stated hours due to downtime for systems and server maintenance, company events, training, observed holidays, and events beyond our control. We usually respond within 12 hours, at busy times, this may extend to 24 hours. d.	The Linden Method is not responsible for telephone charges incurred in connection with the use of telephone support services. We require you to call or email our offices for support. In all cases we will ask security questions to verify you as a client such as, but not limited to; your name, email address, client reference, address. We DO NOT use premium rate lines for our support calls - calls will be charged at your telephone network service providers rates. a. In compliance with the Linden Method program ethos each client is allocated a maximum of one telephone consultation with a specialist per calendar week unless otherwise agreed directly with the support specialist. b. In compliance with the Linden Method program ethos each client has unlimited access to email support for the advertised membership support period. c.	Support is provided for 365 days from date of purchase by email and telephone. The roles of our Linden Method Specialists is to provide compliance support only for The Linden Method. Our Linden Method Specialists and LAR Coaches all work within the organisational ethical framework, their role here is to only provide compliance support for The Linden Method and not to provide talking or counselling therapy. Every member of The Linden Method Team is entitled to a working environment that promotes dignity and respect and no form of intimidation or harassment will be tolerated. We reserve the right to cancel a client membership if we feel that a client has shown an unacceptable behaviour towards any member of The Linden Method Team, either verbally, on social media or via email or any other correspondence. d.	Promotion of any goods, services or enterprises on our websites or any of our social media platforms. e.	Direct communications to other members of a derrogatory, offensive, negative or defamatory nature. Decisions on the above will be made by our management and will not be reversed. If actioned, the party involved will be excluded permanently without warning. a.	Lifewise Publishing LLC will mail, or arrange a courier on your behalf for the goods ordered by you to the person and address you give Lifewise Publishing LLC at the time you make your order. The consignee (i.e. the person to whom the consignment is sent) will be the declarant and importer into the country for which the consignment is destined. b. Delivery will be made as soon as possible after your order is accepted and in any event within 12 days of dispatch of the order. All delivery times quoted on the web site are estimates only, based on availability, normal processing and delivery companies. Usual delivery times are 3 working days for Express Priority Service, and up to 12 working days standard. c.	You will become the owner of a license to use The Linden Method when the goods are dispatched to you from our premises. d.	Delivery is organized via a method that requires signature on delivery, and if no-one is available to sign for the goods the courier, in most cases, will leave a note to advise of the attempted delivery. If this occurs, please follow the instructions on the note to arrange re-delivery or collection. Should the items be returned to us, we reserve the right to charge for a second delivery attempt. e.	The Linden Method Manual and CDs is only part of The Linden Method Program. You will need all of the materials and access to support to benefit. Please access the online Member's Portal to receive the structured element of the programme and the remaining, vital materials and support. .
a. The Linden Method program is licensed, by law, for use by one person unless written permission is provided by the copyright owner. Non-compliance may constitute a breech of registered trademark and copyright laws resulting in litigation. The program materials MAY NOT be copied, sold or given to a third party. (PLEASE NOTE: The Linden Method pack in isolation does not contain all course materials, therefore it is impossible and illegal to pass on the pack in exchange for money or free of charge, as the recipient will not be able to complete the program. We do not issue reseller agreements. If you see The Linden Method for sale elsewhere, (FOR EXAMPLE ON AMAZON OR EBAY) you can assume that these are illegal and unauthorised copies. b. The client user/owner is the sufferer. No other person qualifies to access the support unless express permission is given by The Linden Method directly. In the case of the junior version, the parent becomes the client and support can be provided to one parent and child. The client privileges cannot be passed to a third party such as a doctor, psychologist or other health worker who is not in receipt of a TLM Coaching Accreditation License. 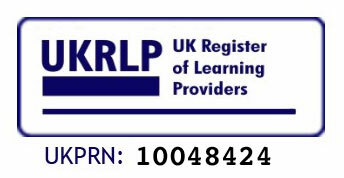 c.	Use of The Linden Method in practice by people not holding a TLM Coaching Accreditation qualification will constitute breech of copyright law and the TLM user license. http://www.larcoaching.org d.	Use of The Linden Method in practice without acquiring a legal multi-user license will constitute breech of copyright law and the TLM user license. a. Please note that your consignment may be subject to import duties and taxes, which are levied once the goods reach the country of destination. Any such charges levied in relation to customs clearance must be borne by the client. It is accepted by you that Lifewise Publishing LLC /Charles Linden Media Ltd has no control over additional charges in relation to customs clearance. We recommend that you check with your local customs officials or post office for more information regarding importation taxes / duties that may be applicable to your order. You will be the importer of record and responsible for any import VAT and duty that may be borne. a. If the goods Lifewise Publishing LLC/Charles Linden Media Ltd delivers are not what you ordered or are damaged or defective or the delivery is of an incorrect quantity, Lifewise Publishing LLC/Charles Linden Media Ltd shall have no liability to you unless you notify us in writing via email to becky@thelindencentre.org of the problem within 10 working days of the delivery of goods in question. b. If you do not receive goods ordered by you within 30 days of the date on which they were dispatched to you, Lifewise Publishing LLC /Charles Linden Media Ltd shall have no liability to you unless you notify becky@thelindencentre.org in writing informing us of the problem within 40 days of the date on which the goods were dispatched to you. c.	If you notify a problem to us in writing as instructed under this condition, Lifewise Publishing LLC/Charles Linden Media Ltd’s only obligation will be to make good any shortage or non-delivery; to replace or repair any goods that are damaged or defective. d.	Lifewise Publishing LLC/Charles Linden Media Ltd will not be liable to you for any indirect or consequential loss or damage arising out of any problem you notify us of under this condition and have no liability to pay any money to you by way of compensation. e.	Nothing in this condition is, however, intended to limit any rights you might have as a consumer under applicable local law that may not be excluded nor in any way to exclude or limit Lifewise Publishing LLC/Charles Linden Media Ltd’s liability to you. Lifewise Publishing LLC/Charles Linden Media Ltd shall have no liability to you for any failure to deliver goods you have ordered or any delay in doing so or for any damage or defect to goods delivered that is caused by any event or circumstance beyond its reasonable control. If any part of these conditions is unenforceable (including any provision in which Lifewise Publishing LLC /Charles Linden Media Ltd excludes its liability to you) the enforceability of any other part of these conditions will not be affected. Lifewise Publishing LLC/Charles Linden Media Ltd operates a complaints handling procedure, which is used to try to resolve disputes when they first arise. If you have a complaint, please contact the Customer Service department at our contact address. These Terms and Conditions, together with the current Linden Method Website prices, delivery details and The Linden Method contact details, set out the whole of our agreement relating to the supply of the goods to you by Lifewise Publishing LLC/Charles Linden Media Ltd. These Terms and Conditions cannot be varied except in writing signed by a director of Lifewise Publishing LLC/Charles Linden Media Ltd. In particular nothing said by any sales person on behalf of Lifewise Publishing LLC/Charles Linden Media Ltd should be understood as a variation of these Terms and Conditions or as an authorized representation about the nature or quality of any goods offered for sale by Lifewise Publishing LLC/Charles Linden Media Ltd. Lifewise Publishing LLC/Charles Linden Media Ltd shall have no liability for any such representation being untrue or misleading. It is vital that you receive a formal medical diagnosis. The Linden Method program psycho-educational guided self help program designed for use by sufferers of a wide range of anxiety conditions and may be helpful in the elimination or management of other conditions where anxiety plays a part. Please do not attempt to self diagnose. The Linden Method, content on thelindenmethod.com/thelindenmethod.co.uk URL’s and all associated media is copyright Charles Linden and used under license issued by CLIP Media Ltd to Lifewise Publishing LLC/Charles Linden Media Ltd. The Linden Method is a registered trademark. The research carried out by The Linden Centres, with specific reference to our unique theory about the role of the Amygdala in the formation of anxiety disorders and our elimination solution, which addresses this, is legally protected. Any attempt to 'pass off' this research or any copyrighted material, in any way, will result in legal action. As the license issuer, Charles Linden is not responsible for content provided on this website. ‍Video testimonials on our websites may, in some cases, be portrayed by actors. This is to protect the original identity of our clients and has been agreed by the provider of the words. The Linden Method is intended for use by adults. Any information or advice passed to minors must be the responsibility of a parent or guardian. Lifewise Publishing LLC/Charles Linden Media Ltd accept no responsibility for damages or injury to minors as a result of using The Linden Method program. If you provide a testimonial in any form, you also give permission for us to use the words, images and videos provided on our websites at our discretion. If you wish to have the content removed, please send us an email at questions@thelindencentre.org and it will be removed within 14 days. •	The Linden Method program is licensed to Charles Linden Media Limited (UK) and Lifewise Publishing LLC (USA) by CLIP Media Limited. •	'Us' and 'we' means Lifewise Publishing LLC/Charles Linden Media Ltd.
•	'You' and 'your' means the person ordering goods under these Terms and Conditions.